.. I just took the plunge and ordered the Rally Raid EVO2 upgrade kit for my 690. I should receive it next week sometime, so looking forward to converting my EVO1 690 into the the new EVO2 look .. I do like the side profile of the new design and it also has 10 litre capacity on the front tanks instead of the 9 litre of the EVO1 tanks. It’s a lot thinner than the EVO1 design which looks a little odd, but sure it will look better in the flesh. The picture below shows the Rally graphics, but I ordered the white Adventure graphics for mine. The Rally graphics look really good. Hey – you don’t want to sell your evo 1 tanks, do you? Great looking bike! Nice job on the build-up. I just put a deposit on a 2014 690 Enduro, which is expected to arrive sometime in February or early March. 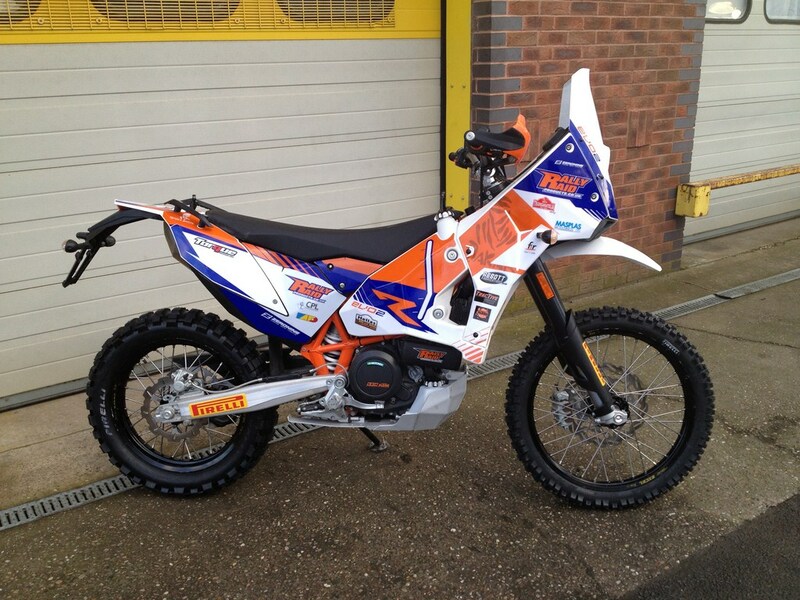 For my project I can’t decide between the Rally Raid Evo 2 or the Quest kit from KTM Basel.